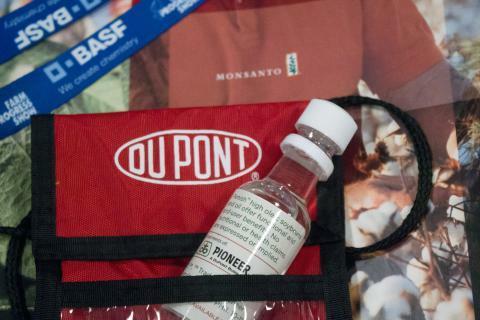 Six companies currently dominate the marketplace for agricultural seeds and farm chemicals, like fertilizer and pesticides: BASF, Bayer, DuPont, Dow, Monsanto and Syngenta. Of those, only BASF is not currently in discussions to merge. Dow and DuPont want to join forces and then spin off three separate companies, one of them dedicated to agriculture. Monsanto, currently the world’s largest seed company, has accepted an offer from Bayer. And China National Chemical Company, known as ChemChina, wants to purchase Syngenta. In some ways, the growth and consolidation of the agriculture industry is a common story of American business: growth snowballed until small companies become part of larger conglomerates. But farming only transitioned from a self-contained enterprise to big business in the 20th century. And as the industry that produces our food, the consequences of corporate changes will reach nearly every American’s dinner table. To understand the significance of this consolidation, you have to go back a century to look at how the industry got to where it is today. In the early 20th Century, selective breeding for crop seeds leapt from the farm to the lab. Until the 1920s, farmers the world over had saved seeds from their best-looking plants to use the following year. But the creation of hybrid seed corn, which allowed a company to maintain lines of ultra-efficient “parent” varieties that were specifically bred for a particular region or use, meant companies could send travelling salesmen through rural areas to hawk their fancy seeds. The first buyers witnessed the seeds turn into profitable crops and that quickly led to widespread adoption. The transformation in corn began during the Great Depression, but Liz Garst, granddaughter of Roswell Garst, one of the first seed corn dealers, says the new seeds immediately won over skeptical farmers. In a recent public lecture at Iowa State University, Garst said in 1929, one-half of one percent of corn in the Midwest was grown from hybrid seeds. In 1940, that figure had grown to 100 percent. Seed companies sprang up all over the world, hundreds, perhaps thousands, of them. Also in the early decades of the last century, synthetic fertilizer was developed, though it wasn’t until after World War II that nitrogen fertilizer came to be a regular part of farming certain crops. And by then, pesticides were also growing in popularity. Those three things: hybrid seeds, synthetic fertilizer and pesticides, became, and continue to be, the foundation of modern agricultural companies. Initially, smaller companies typically sold one or two of these lines of products. In the latter part of the century, though, that started to change. “Companies like Standard Oil of New Jersey, which is now Exxon Mobil, got into buying seed companies and looking at ways they could use their fossil fuel industry interest – which, of course, is linked to fertilizers, and pesticides as well – to become a one-stop retail shop for agricultural inputs of different types,” says Pat Mooney, executive director of the Canadian think tank ETC Group. Mooney says Standard Oil of New Jersey didn’t stay in agriculture for long, but a decade or so later, another big petroleum company, Shell Oil, bought up hundreds of seed companies and was briefly the biggest seed company around. The other sector that saw promise in seeds was the chemical companies, some of which were involved early in fertilizers and/or pesticides and now make up the reset of the half-dozen market leaders: BASF, Dow, DuPont and Monsanto. Phil Howard, a sociologist at Michigan State University who has spent decades looking at corporate consolidation, particularly among food and agriculture companies, says the 1980s were a friendly time for companies that wanted to grow. One consequence of that, Howard says, is that it creates a climate where only the biggest can continue to grow. “It is increasingly difficult to break into some of these industries that have become so dominated by big firms,” Howard says. The last big watershed moment in the industry came in the 1990s, with the dawn of genetically modified seeds. The public’s pushback against GMOs turned Monsanto into a household name, and often, a bogeyman. It also forced companies to launch public relations campaigns aimed at consumers, not just the farmers who had historically been their customers. Now, industry leaders are trying to make the case that they must grow to keep innovating. Mooney is wary of such an argument. He says already the waves of consolidation have had far-reaching impacts. First, loss of diversity. “We've had a massive move toward genetic uniformity in our food system,” Mooney says, citing a UN figure that food crops have lost 75 percent of their genetic diversity since the 1900s. What’s more, he says, even as people in wealthy countries have had access to more variety of foods, they’ve actually come to eat a diet dominated by corn, soybeans, wheat, rice and potatoes. Many factors have contributed to these changes, Mooney says, such as breeding for tastes humans prefer and growing popular food products outside of their natural geographic locales. But Mooney also blames profit-driven corporations, which through intellectual property and trademark maneuvers largely stripped farmers of their freedom to save seeds and experiment with breeding on their own. Now, with companies seeing lower profits than they’d grown accustomed to, they’re arguing that to invest in the innovations necessary for the next century of agribusiness success, they again need to find efficiencies and increase collaboration. They argue these deals will result in more research and better products to help farmers succeed. But some observers see profit as the major motive. 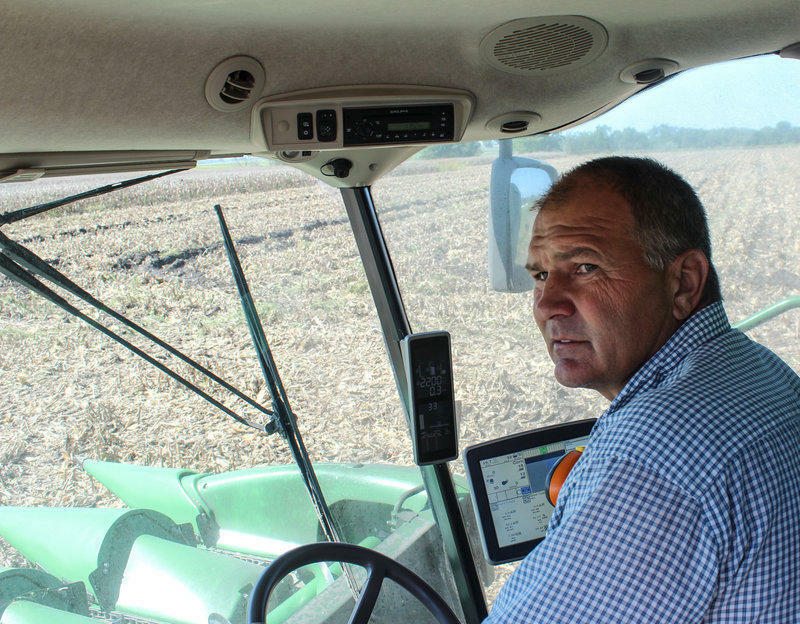 “All of these agricultural input firms are combining with each other because they’re not seeing the sales growth rates that they have in most recent years,” Howard says. And, more cynically, some say it’s about executives looking out for themselves. He says rank and file employees don’t tend to see raises and customers – in this case farmers – often see higher prices. And what happens on the farm moves its way through the entire food system, which could in turn affect the foods we see at the grocery store and what we end up paying for them.